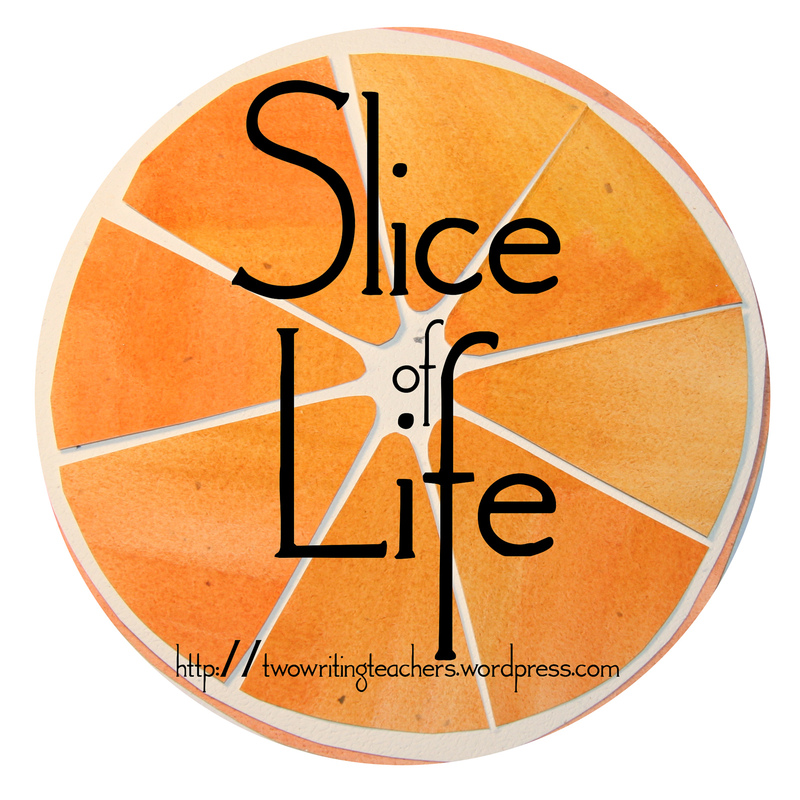 Today is day #4 of the March Slice of Life Writing Challenge. Please visit Two Writing Teachers to read other Slice of Life stories and leave a comment or two. I remember an afternoon, some 20 years ago, when my young niece picked up a toy plastic iron and said to Zach, "What is this thing?" Zach quickly replied, "I don't know. Maybe it's something you cook with." Yes, that tells the sad tale of the relationship I have with my iron. It's not that I dislike it so much, it just seems to easier to wear something that doesn't need to be ironed. Or, if the article of clothing isn't too badly wrinkled, I shake it out and put it on, hoping that no one notices I should have spent a little time with the iron. It's not like I didn't have ironing role models. I have fond memories of sitting under the ironing board as my mother or grandmother drew out the ironing basket every Tuesday afternoon. Tuesday, after all, was ironing day in my family. The generations of women did not veer from this sacred schedule. The Young and Restless hummed in the background as droplets of Niagara spray starch drifted down onto me. My grandmother, mom and aunts were religious about their ironing. They ironed pillow cases, handkerchiefs, and dress shirts for the men in their lives. My grandmother even ironed my grandfather's underwear and her sheets. And I tried. I tried to establish an ironing routine, but for some reason, that gene skipped me. As I opened the door to the back basement, a bit of panic gripped my stomach. I haven't ironed since we moved into this house over a year ago. Did we even keep the ironing board? Did the iron work? Did we even still own an iron? Yikes! 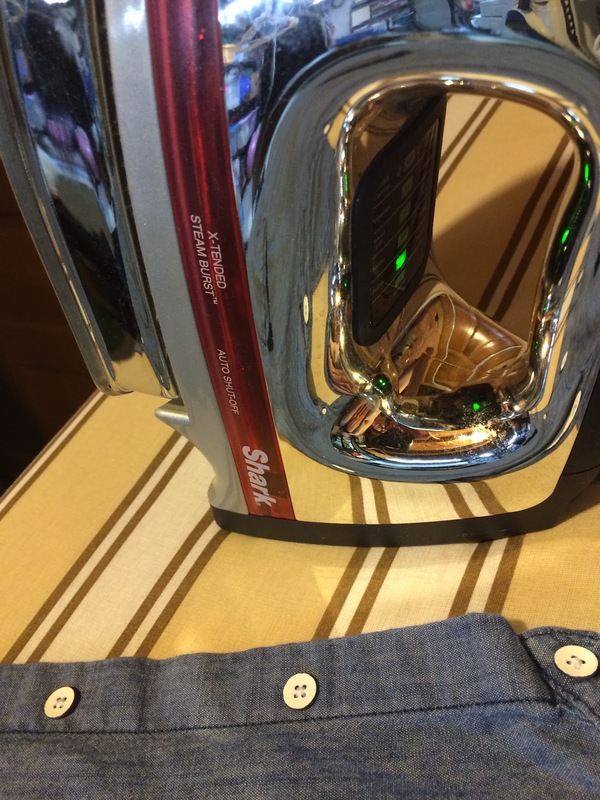 Thankfully, we had all the equipment and I was able to complete my ironing with success! I happily put my freshly ironed shirt on and went off to work. However, I know that this shirt of mine will come out of the dryer this weekend, wrinkled as ever. I wonder how long it will be before I wear it again? Julie, I instantly connected with your story. As I started reading I thought about MY MOM and her ironing afternoons. I pictured the same board with the Niagra spray on top, only she chose General Hospital. Thank you for the little trip down memory lane. And no, I didn't get that gene either! I have people in my family who ironed the sheets, too, and they did feel nice! I remember my mother setting up in front of the "picture window" so she could look outside while she ironed. And I began my marriage ironing five shirts a week for my husband, no wrinkle-free then! Now I avoid it too, purchase mostly the things I don't have to iron. 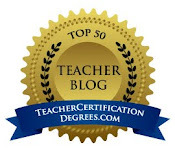 But I did teach my kids how to do a shirt, seemed like something they needed. Maybe? Glad you found that you hadn't thrown away the goods! This is funny! I can't imagine NOT ironing. I usually iron every morning what I am wearing that day. It is in the routine just like brushing my teeth. My mornings would go better if I ironed beforehand! 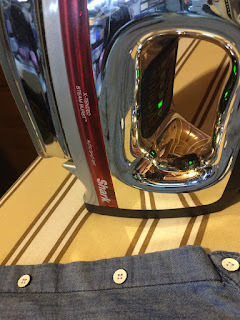 I used to iron ten shirts for husband so I would only have to do his every two weeks. Now he does them! I always invest in a good iron too. Got to have lots of steam and a stick-proof plate! When I quilted, pressing was key to straight and matching seams! 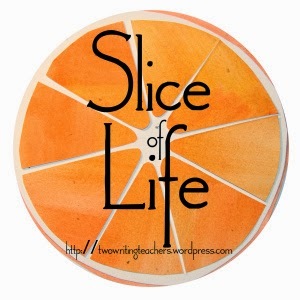 Love this slice! Oh my gosh, can I relate to this. I despise ironing, too. In fact, my outfit in the morning is determined by whether or not I have to iron it or not. My grandmother, too, ironed sheets - I think on Tuesdays. I'll have to ask my mother. I wonder if that was a German thing. . .
WHAT? You went a whole year without ironing? I find in the winter I iron less but a whole year? I just iron as I need to, sometimes daily. I'm too fussy it iron and then let it sit til I wear it plus who does have hours to iron? Ok first I want to say that your Agen Judi Bola Online Terpercaya baby is so cute at the laptop and with the Hire Me sign! I can see other posts Agen Judi Bola Online Terpercaya you have written in the preview area and it is so adorable. Agen Judi Bola Online Terpercaya:) I've never heard of these tips, but I have been out of the working world for over 2 years now and I had my first job out of college for almost 4 years before that so you can probably see why this stuff is new to me!